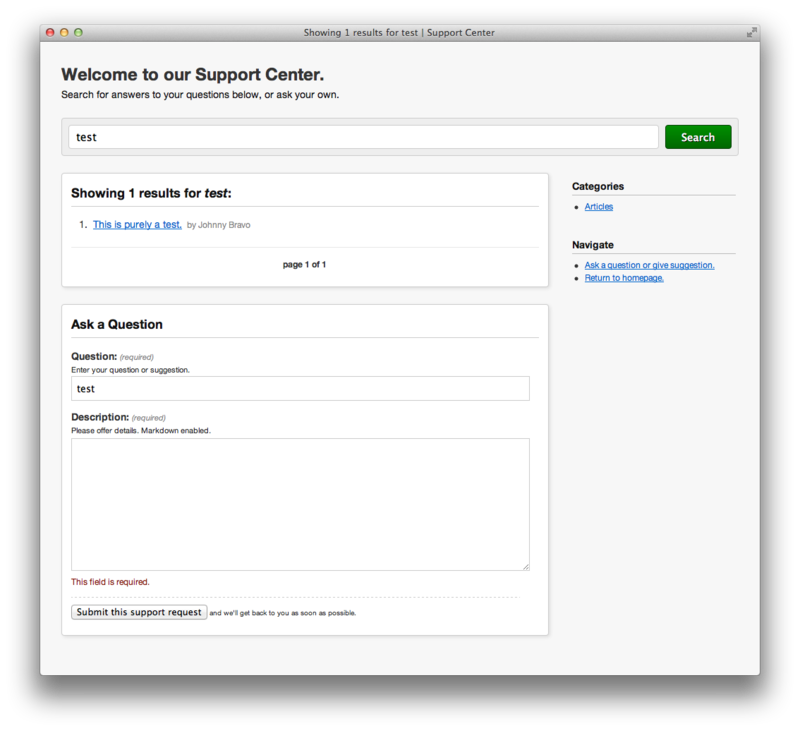 django-knowledge makes it easy to add an integrated support desk, help desk or knowledge base to your Django project with only a few lines of boilerplate code. While we give you a generic design for free, you should just as easily be able to customize the look and feel of the app if you like. django-knowledge was developed internally for Zapier. Check out a live demo. 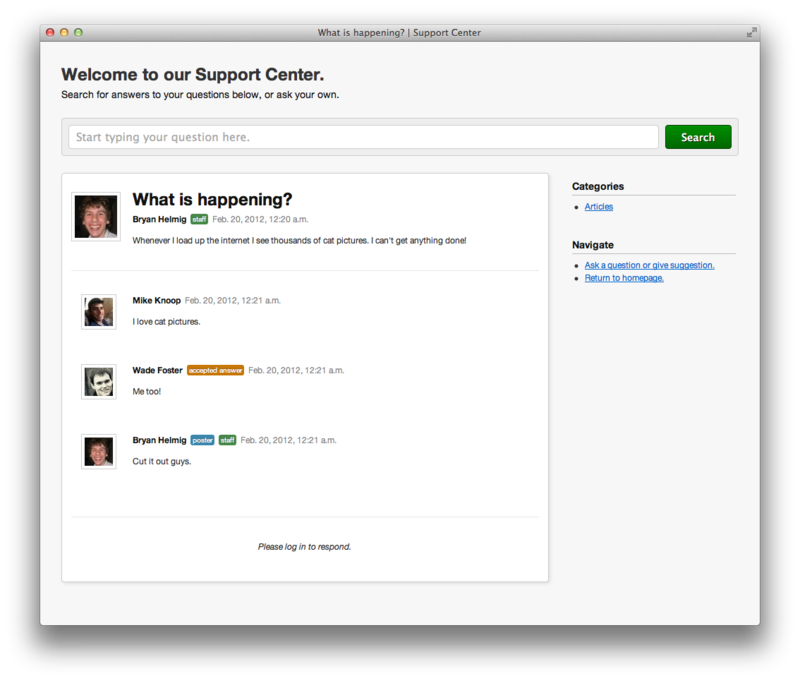 Turn common questions or support requests into a knowledge base. Control who sees what with simple per object view permissions: public (everyone), private (poster & staff), or internal (only staff). Assign questions and answers to categories for easy sorting. 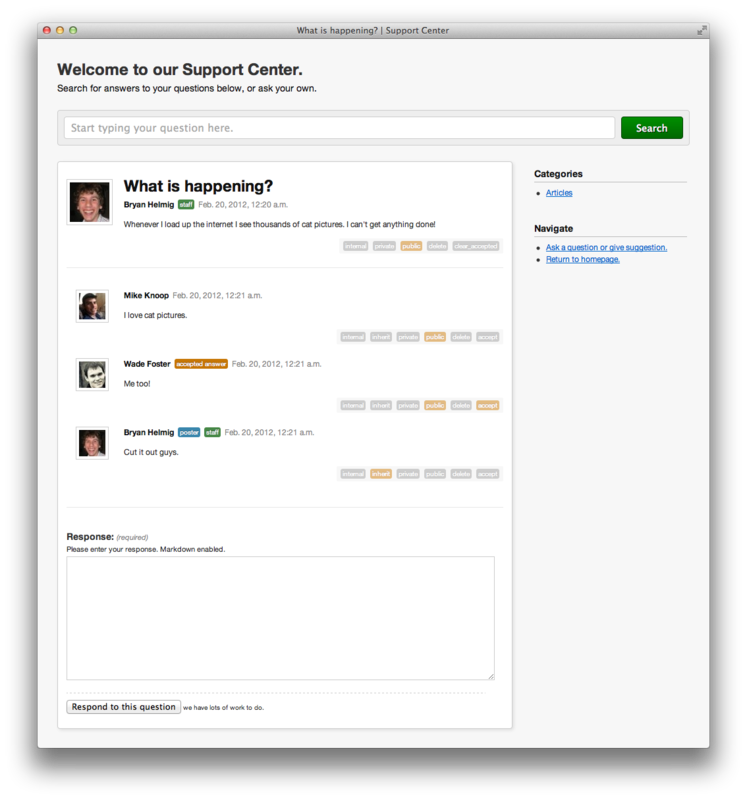 Staff get moderation controls or they can use the familiar Django admin to handle support requests. 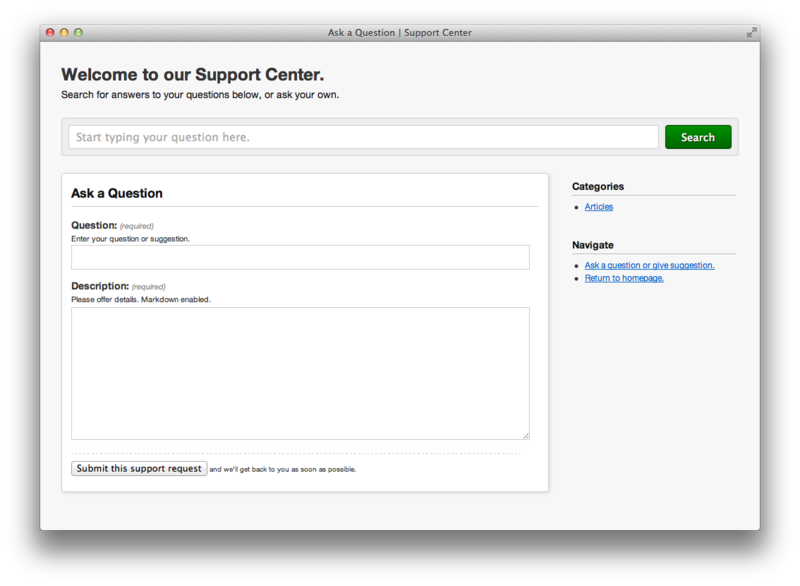 Allow anonymous questions, or require a standard Django user account (the default). Included base templates and design with prebundled HTML and CSS. Optionally alert users of new responses via email (or your own alert system). View a live demo. This is the included stock design. 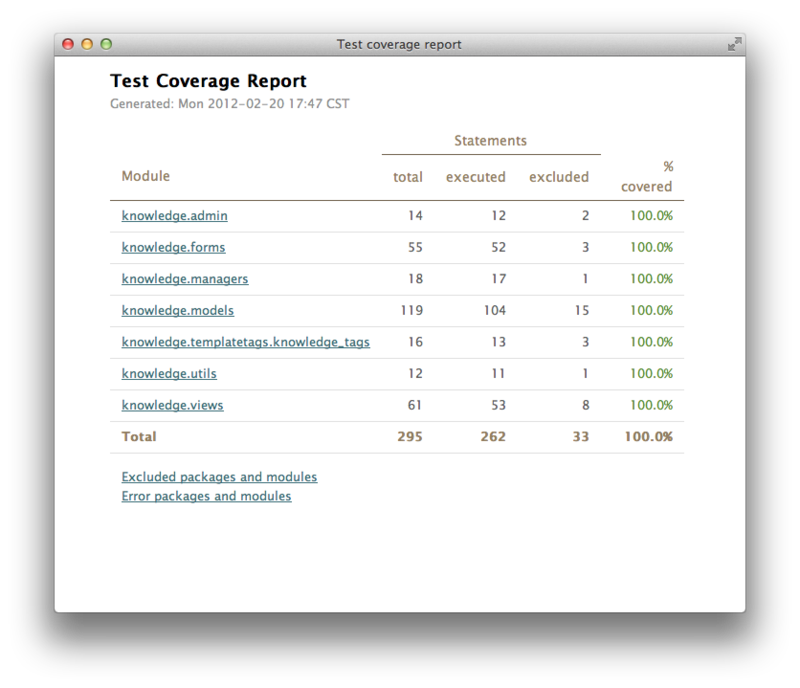 Check out the documentation at ReadTheDocs. Visit our GitHub repo and join the development!. © Copyright 2012, Zapier. Created using Sphinx 1.1.3.